Bright natural oak veneer living room furniture. 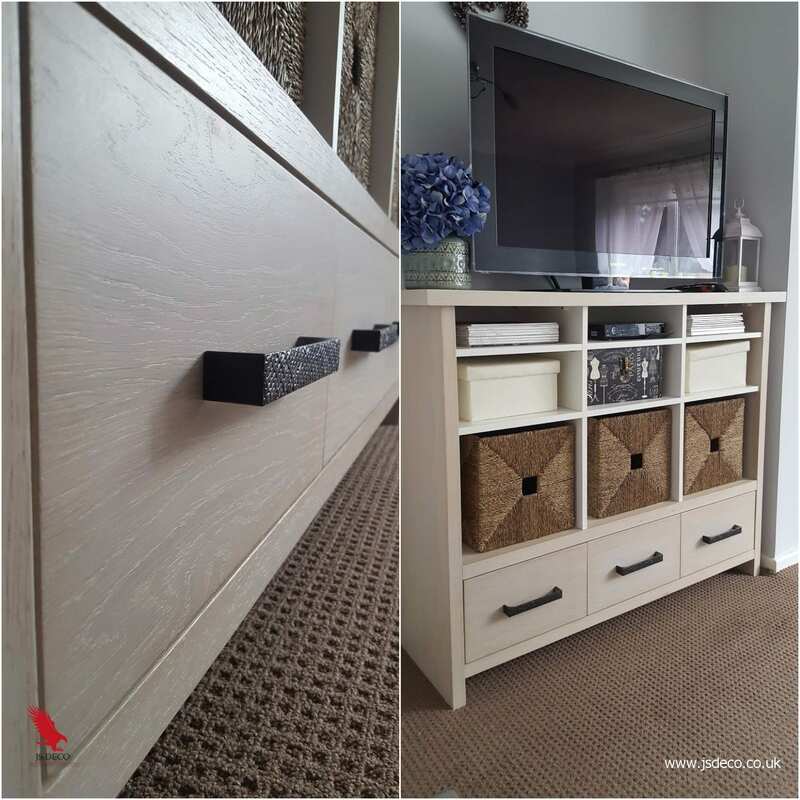 A Recent project of bespoke natural oak veneer living room furniture. 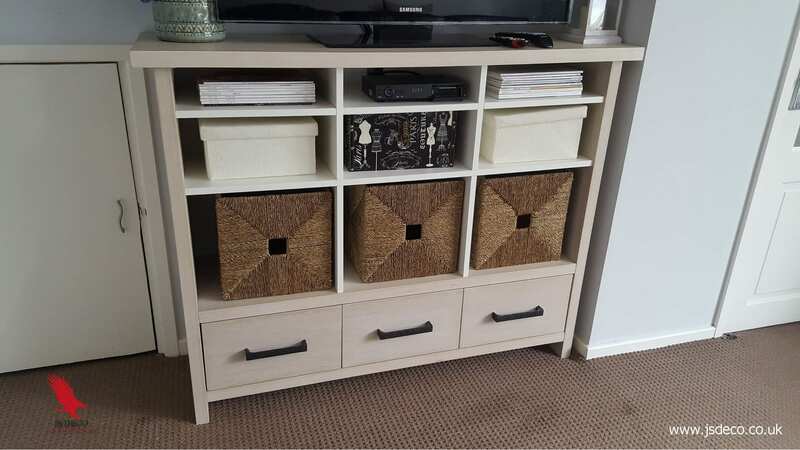 Set contains TV unit with drawers and shelves. 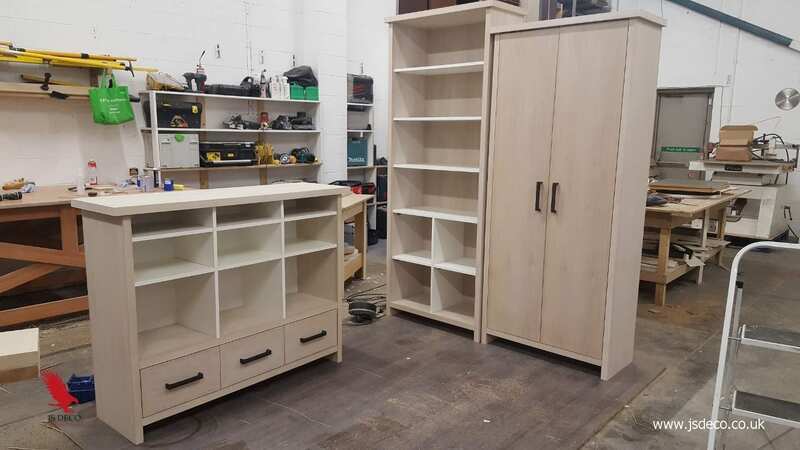 The second part is a bookcase divided to accommodate books in the top part and baskets in the bottom. The third is a very capacious tall cabinet for shoes and clothes. 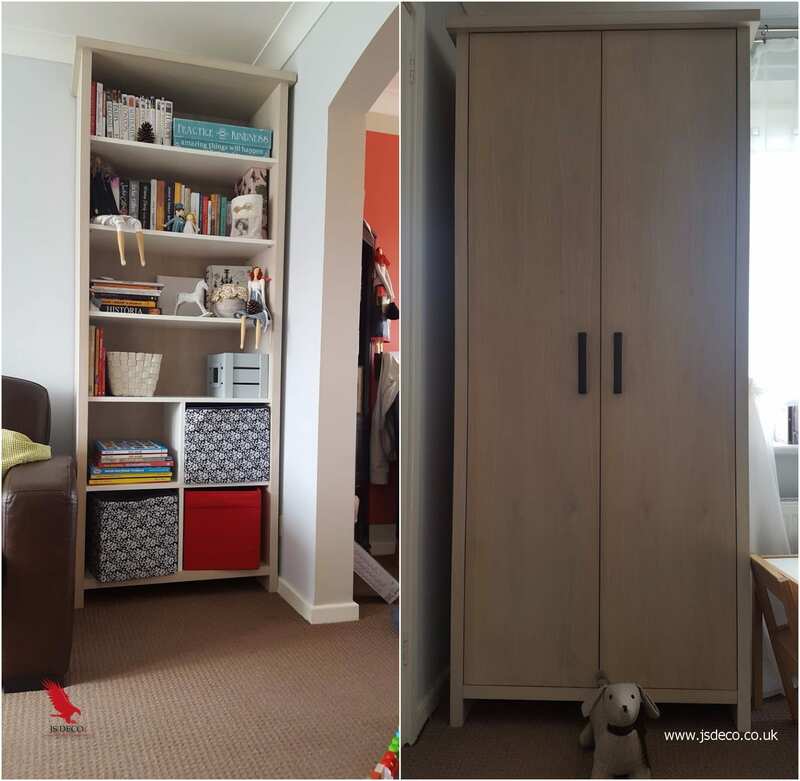 All furniture has been made to measure using available space to the maximum. High quality 36 mm MDF board covered with real oak veneer finished with white dye and satin varnish. Natural material and bright color of finish give the room a warm feeling and impression of more space. We are open for cooperation with private and commercial customers, property investors, shop owners, and interior designers. Older PostAnother 24 kitchens installed for SIG / Urban Splash. Newer PostBespoke home office furniture set.